An attempt to capitalize on the Eagles' underdog identity seems to have backfired on the NFL, with Eagles players Lane Johnson and Chris Long calling out the league on social media. The Twitter account for the NFL's official shop tweeted out a link to a new shirt it's selling Tuesday for Philadelphia's Super Bowl run. The shirt is of a dog mask, which Johnson and Long wore after the team beat the Atlanta Falcons in the divisional round of the playoffs and the Vikings in the NFC Championship game despite being underdogs at home. The tweet tagged Long, and told the defensive lineman the shirt would go great with his mask. 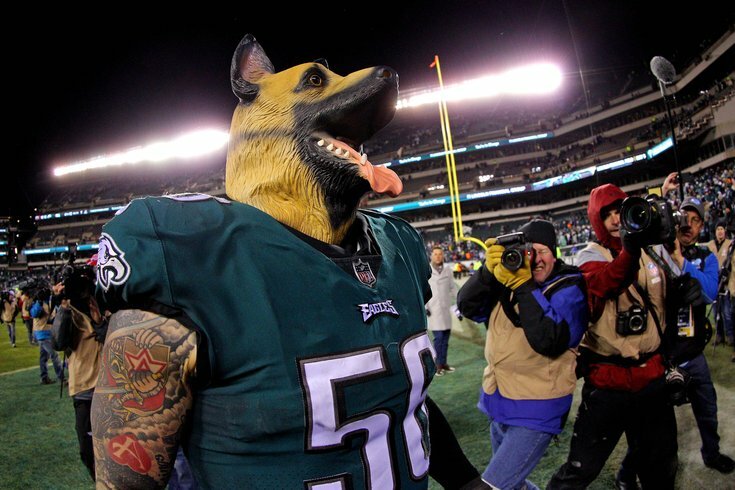 One problem: Johnson has already been selling shirts featuring the dog masks, except the proceeds from those sales are going to Philadelphia's schools, a cause Johnson has been raising money for most of the season. As of the Wednesday before the NFC Championship game, Johnson had already raised more than $53,000 for the city's education system. So, when Long saw the tweet, he was none too pleased. Neither was Johnson. The NFL probably would have been better off just leaving the whole underdog theme to the players and fans instead of trying to sell its own merchandise based on it.